Reading to your children when they are young is one of the most important things you can do. It develops their love of reading, introduces them to worlds outside of their own, and provides quality time for relaxation and cuddling together! Many families with young children are experiencing separation and divorce, and parents are searching for ways they can explain these changes to their children. There are some wonderful books out there that can really help the process, although most of them focus on children living in two homes, rather than dealing with families where separation and divorce have meant the disappearance of one parent. 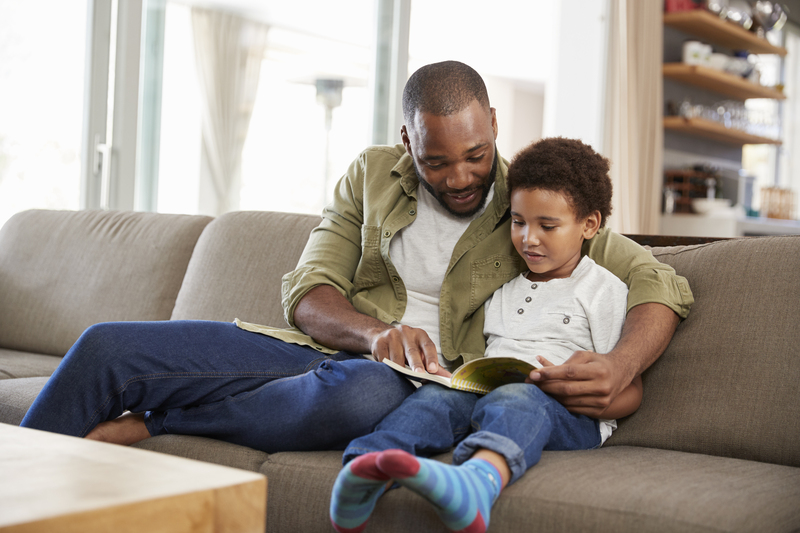 If you are Co-Parenting with your former partner though and your child is traveling back and forth between homes, books can be a useful tool to find some common ground between the two households! Following my last installment of book recommendations for adults, here is my list of favorite books for children. This book is excellent for toddlers and pre-school children. A little boy explains throughout the book that he has two homes and how he has everything he needs in both homes—a place to hang his coat, a room with his toys and clothes, a kitchen to cook and eat in with family and a place to enjoy television and visiting friends. Most of all though, he communicates that he enjoys both homes because he is with one of his parents, and when he is away from one he can always of creating two stable and calm environments for their children, and the importance of letting their children connect with the other parent when they are not with them. Standing on My Own Two Feet: A Child’s Affirmation of Love in the Midst of Divorce also stars an adorable little boy who has two homes and happily shares that he knows no matter what both his parents love him. He acknowledges that sometimes his parents do not get along but realizes that has nothing to do with him. The illustrations are eye-catching and, frankly, adorable. This is another great one for toddlers and pre-school children! This book is part of the Dino Life series that deals with challenging topics for children such as illness and death. In a very sensitive and honest manner, the dinosaurs are humanized to demonstrate some of the changes that families and children deal with when parents separate or divorce. I have always suggested the Dino Life books to families because they are straightforward and provide children with the information they need to have to feel secure. This book is great for children ages 4–7. Where Am I Sleeping Tonight? is a wonderful book about a little boy who shares details of some of the different experiences he has in both of his homes. In one of his homes, he is living with a parent and step-parent and in the other home he is living with a single parent. He shares openly that many times he wishes his parents were back together, but he is moving to a place of acceptance and is learning to focus instead on appreciating that he has two parents who love him. The “crazy custody schedule” sometimes leads him to forget homework at one parent’s home, but he talks about how he is trying to improve that and even helps his little brother with reminders to help him stay organized. Even though he does not always get along with his little brother, he also shares how he is glad to have him in the situation with him so that he is not alone. This is a really open and honest book for K–5 children. A downside to the book is that there are some gender stereotypes at play, noting that the children ate breakfast on the go and often ordered pizza with the father instead of the home-cooked meals with the mother. Single fathers today are quite capable and I felt this upholds untrue stereotypes. Finding parallels to their own lives through fictional people (or dinosaurs, in some cases) can be a wonderful opportunity for children to develop a vocabulary for expressing their feelings about unfamiliar situations. If you have any recommendations of your own, be sure to send book information through our contact page. Happy reading!